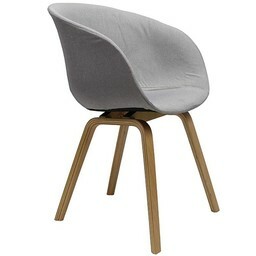 Advice when buying dining room chairs! When choosing your dining room chairs, always start at your dining room table. Have you already chosen this one? Then take a good look at the height of the table and the thickness of the tabletop. You can save space easily by being able to slide your dining room chairs under the table. When purchasing your dining room chairs, take into account the width and height of your dining room chairs. It is certainly not unimportant that the dining room chairs that you have in mind also fit in with your interior style. Always keep your own interior in mind when viewing dining room chairs. Nobody can do more about it; a Scandinavian interior is completely contemporary. The influence from Scandinavia is increasing. An interior in this style is often accompanied by the minimalist atmosphere, but this is not a must. A Scandinavian interior may contain some color, but white is taken as the basis. Beautiful wooden floors and white walls are characteristic. Also the ceiling, the doors and the stairs are regularly painted white, which creates a serene atmosphere. In combination with a lot of light, this also makes the room look bigger than the space in reality. Keep this in mind especially when setting up a small apartment. Typical of an industrial design is, of course, the use of metal. It can be as tough and big as you want. Think of a cool, cool bar with metal plates or even iron plates against the wall. Today, many furniture can also be found made of metal, such as old locker cabinets or sturdy tables with industrial frames. Would you prefer a slightly more subtle approach? Then go for steel accents with, for example, metal stools or chairs. And they should shine a little bit! You can easily extend this modern style throughout your home to make it a whole. 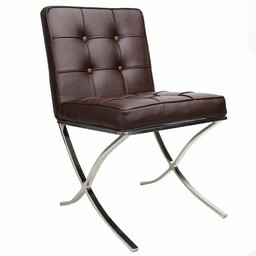 In a modern interior you will encounter furniture from metal, aluminum, plastic, chrome, smooth leather or steel. From living room and kitchen to bedroom, bathroom and hallway. It is only a matter of using the right materials and colors. You can easily extend this modern style throughout your home to make it a whole. 3) With or without armrest? A dining room chair is usually available with or without armrests. A choice that you should consider carefully! A dining room chair with armrests is automatically higher than a dining room chair without armrests. Take this into account if you want to easily slide the chairs under the dining room table. Tip: measure the height of the bottom of the tabletop, so that you can at least determine with certainty whether your favorite dining chair can be pushed under your dining room table. So many dining room chairs, so many materials. A dining room chair with the upholstery that you like, is not always practical. Think carefully about what you find important. For example, if you have children, then a dining room chair that is easy to clean and keep is a real plus. 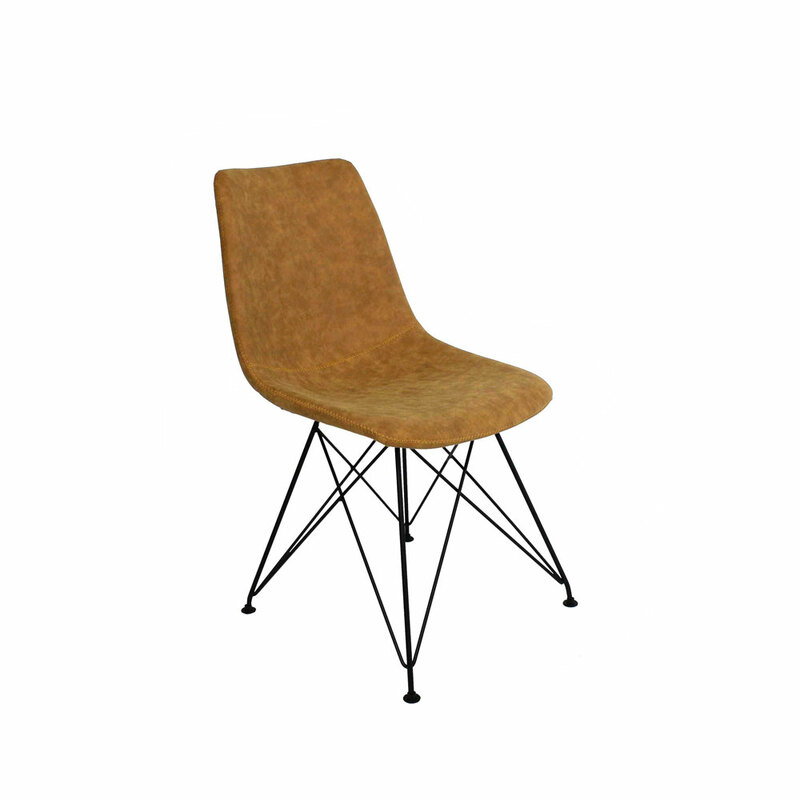 Then choose, for example, a wooden, metal or plastic dining chair. A certain type of material can also emphasize a particular interior style. 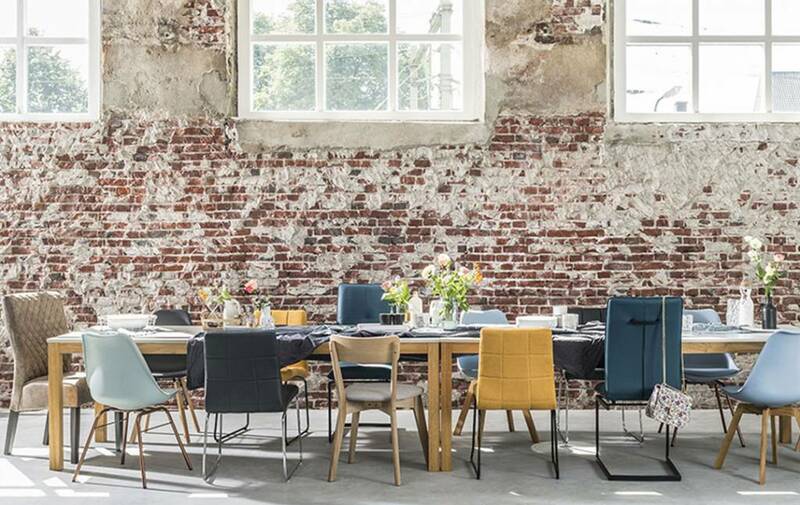 A beautiful retro or vintage interior screams for a beautiful fabric dining chair, while a Scandinavian or modern home requires a plastic and minimalist approach. For the perfect lighting above your dining room table, you have to take into account the height of your dining room table and therefore also dining room chairs. The most ideal situation is when the hanging lamp hangs between 60 and 75 centimeters above the table. This is counted from the tabletop to the bottom of the lamp. Also take into account the height of the room itself and the space of the table itself for the perfect picture! Have you been able to make a choice after reading this extensive blog? We wish you good luck with the furnishing of your home! The perfect industrial floor lamp for your interior! How to make the most of the long summer days on your own furnished balcony. Do you recognize that feeling? That nice fresh feeling after you cleaned up the house?